Our first session in spring and it was fantastic weather. Conditions were perfect, warm and not a drop of wind. First cast with a small piece of bait, not much seemed to be biting, but after a few minute wait I was on to a legal bream! 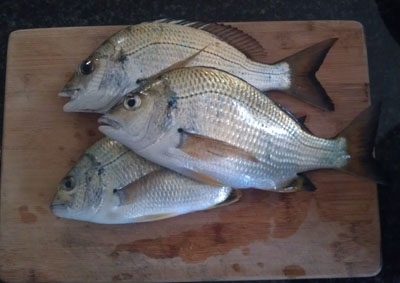 Thereafter we hooked up two more legal bream and missed out on three even bigger ones as they slipped off. Not much on but bream that day, not complaining though!